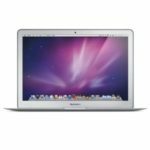 Apple iMac MC511LL/A is a 27-inch desktop packed with a 2.8GHz Intel Core i5 – Quad-Core processor (8MB shared L3 Cache), 4GB 1333MHz DDR3 SDRAM, and 1TB (7200RPM) Serial ATA Hard Drive. The desktop highlights a 27″ LED-backlit display with a widescreen 16:9 aspect ratio, 2560×1440 HD resolution, and an ATI Radeon HD 5750 graphics processor with 1 GB of DDR3 SDRAM shared with main memory. 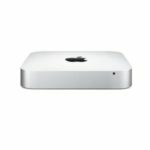 The iMac MC511LL/A also comes with Built-in iSight Camera with Microphone, 8x slot-loading SuperDrive with double-layer DVD support, Built-in stereo speakers, Mini DisplayPort video output, Four USB 2.0 ports, one FireWire 800 port, AirPort Extreme 802.11n Wi-Fi Wireless LAN, 10/100/1000BASE-T (Gigabit) Ethernet, and Bluetooth 2.1 + EDR. The desktop runs on Mac OS X v10.6 Snow Leopard. Needless to say, such a configuration is good enough for our use, people are super happy with it. Oh yeah, the Apple iMac MC511LL/A has become a super hot selling desktop on Amazon, loads of people are crazy about it, so I think I'd better share it with you guys today. 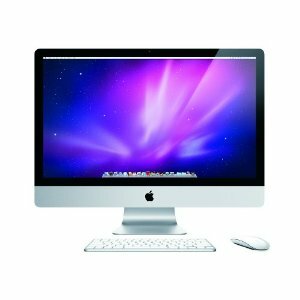 The Apple iMac MC511LL/A is a perfect companion for those who don't move quite often, it would be a good idea to put one in your living room, or your office. You'll enjoy fantastic experience with it. Its brilliant 27-inch LED-backlit display with a widescreen 16:9 Aspect Ratio is perfect for watching HD video, it offers 2560-by-1440 HD, delivers consistent color across a wide 178-degree viewing angle. The new powerful Intel Core i5 Quad-core Processor starts at 2.80GHz, and advanced graphics make the most of every pixel. iMac declutters your Desktop with the Apple Wireless Keyboard and the new wireless Magic Mouse: the world's first Multi-Touch mouse. This is really magic. Yeah, you'll also enjoy wonderful experience on video chatting, with the iSight camera placed above the display in the iMac's thin aluminum and glass design, you'll be able to video chat with up to three of your friends simultaneously as well as use the included Photo Booth software to create photos with fun effects for your favorite social networking sites. The processor is really brilliant, with Intel's Turbo Boost technology, the Core i5 automatically speeds up your processor when it needs extra performance–making it a great match to processor-intensive applications like Aperture 3 or Final Cut Pro. So you can play any kind of games you want, no matter how huge they are. What's more, this iMac desktop also include Mac OS X v10.6 Snow Leopard, iLife (includes iPhoto, iMovie, GarageBand, iWeb, and iDVD), which will make your life much easier. So I believe you guys will be happy with this iMac too. Now let's watch a video about the Apple iMac MC511LL/A 27-Inch Desktop. 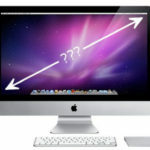 Well, what do you think about the Apple iMac MC511LL/A 27-Inch Desktop?